they tell you not to invest in your first year of venture — or at most do one. the conventional wisdom is to observe, not be tempted, develop a bit of pattern recognition, and eventually, when the right opportunity comes around, you’ll be ready to lean in. well, that sounded boring to me. i’m too impatient for that, it seems, and it’s hard to temper my excitement when i get to meet new technical teams every day. of course, i have the unfortunate task of saying “no” quite often, though even i’m surprised how fast the first “yes” came. back in december of 2011, i had just joined kleiner perkins and had a slew of meetings, coffees, and phone calls. it was exciting, overwhelming, not to mention i was swimming in a sea of new introductions generously made by friends and colleagues. during one of those 100 initial meetings, someone suggested i meet this guy — sahil — who just left pinterest to found his own payments company. that certainly caught my attention. luckily, my friend followed up with the introduction and i was able to meet sahil. i remember being a little shocked at how young he was (19), but also impressed how mature he was and his thoughts on design and business. at the end of the first meeting, we decided to keep in touch, began emailing about product ideas, and i tried to help him with some introductions to various valley companies for his partnership ideas. through those interactions, i quickly learned sahil was no kid — he was a force. so, i started to dig into his product, gumroad. he’d raised angel funding, and the company was formed from one of sahil’s many side projects. this was a different type of product. rather than raise money for a specific idea, sahil saw a need earlier and just hacked together a tool to solve the problem of selling online. 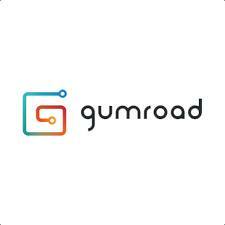 with gumroad, now links become vehicles for purchases. i dug around some more and saw that gumroad was in the luxurious position of having mostly organic traffic (which is priceless), and since i just came from twitter, the prospect of innovating around links was simply intriguing. i started to get more hooked on the idea. founder, check. product, check. but what about market? this is tricky. it’s not a space i’ve poured over, but luckily, one that was clearly emerging. kp is already invested in square and has experience with other payment technologies. and, there’s the reality of what facebook and twitter mean to the social web. we all share links, billions a day. what if those links are just a way to get new content, sell items, buy e-books, sell instagrams, and so forth? during my runs over a few weekends, and it began to dawn on me just how big this market could be, and how close to the transaction gumroad could be. it was a simple yet powerful idea. the timing is right. the focus of “making selling as easy as sharing” feels right. and so, i talked to my partners, and called up sahil and said i’d like to offer him a term sheet. i think he was surprised. there was silence on the phone. he wanted to think about it. that was fair 🙂 and over the next few weeks, we talked a lot [and went up to sf to hack on a project together!]. there were some tough negotiations. this guy can negotiate! i’d be lying if i said i know where gumroad is going to go in the future. and, that’s the exciting part. i thought a lot about sahil, the product, the market — and making my first real venture investment. and, this just felt right. so, i followed my intuition after that, and was lucky enough to have sahil agree. it is a real honor to work with him, and i look forward to helping him and bryan, sid, and the rest of the gumroad team invent the future.